element14.com, the online community for engineers, has launched a second volume of their popular ‘Essential Tips for Makers’ eBook series, a free downloadable guidebook filled with practical tips and inspiration for readers looking to improve their skills in hands-on electronics. 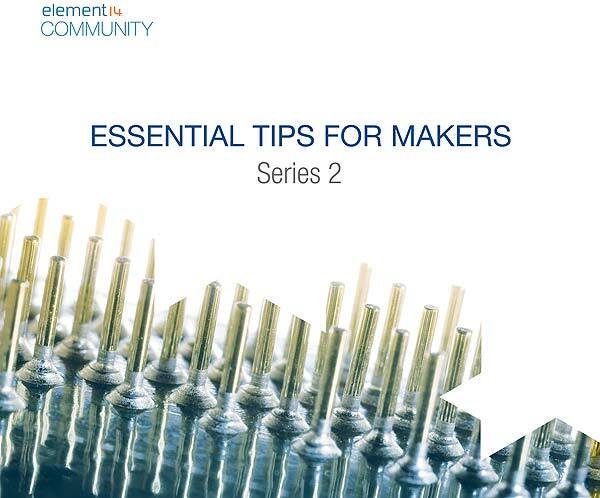 The new ‘Essential Tips for Makers’ eBook can be downloaded for free along with an extensive library of eBooks by becoming a registered member of the element14.com Community. Visit https://www.element14.com/community/community/publications/ebooks to browse the full collection. Visitors to the Farnell element14 stand at electronica 2018, Munich, 13-16 November can pick up a hard copy of the eBook and meet with representatives from the element14 Community. For more information visit the Farnell element14 microsite.